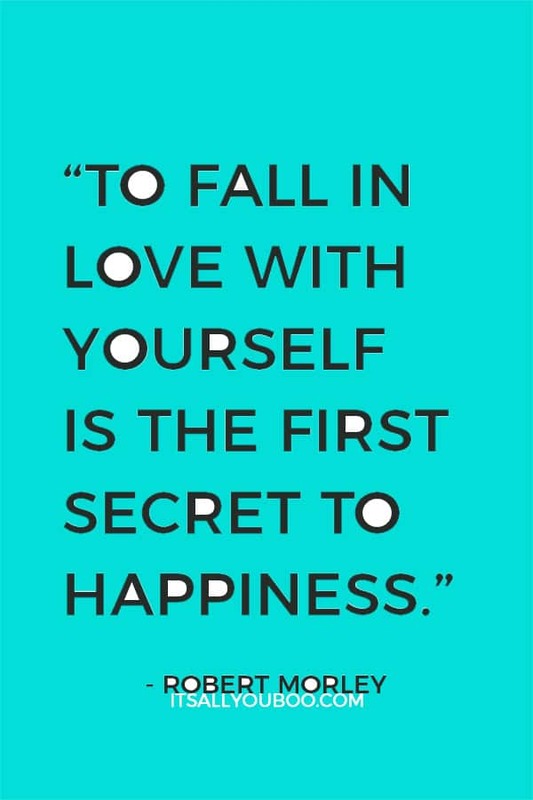 What are the best self-love quotes and sayings? Is self love the best love? 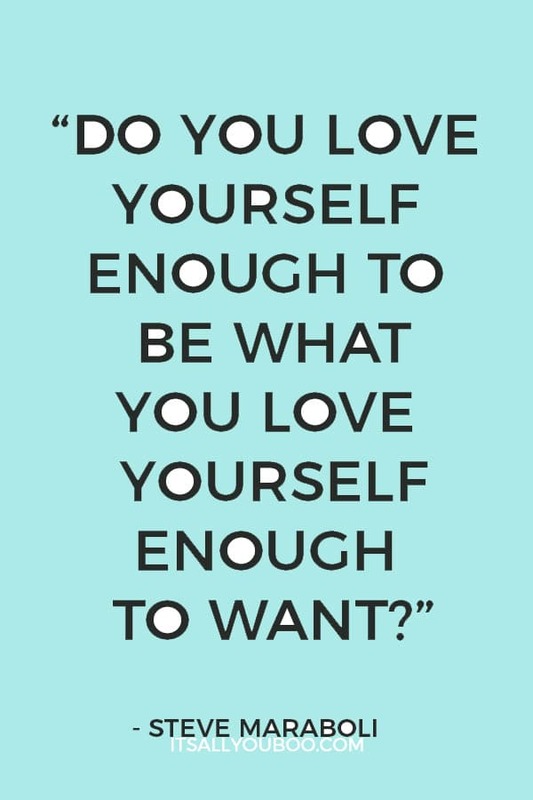 If so how do you love yourself more, as you are? Do you ever just need a hug on the inside? Deep down where no one can see. Are you struggling to love yourself right now? Perhaps to even accept or admire who you are? Maybe you feel inadequate, unworthy and unwanted? It’s hard to admit at times that a lack of love from others, can impact how we feel about ourselves. Whether you hate being single, in a relationship or free to mingle, self-love is about so much more than your relationship status. The beginning of all things wonderful in your life is you simply loving yourself where you are at. You can’t want more for yourself, believe in yourself or even have confidence that everything that you can achieve your goals or dreams if you do not first love yourself! Want to live a life you love? 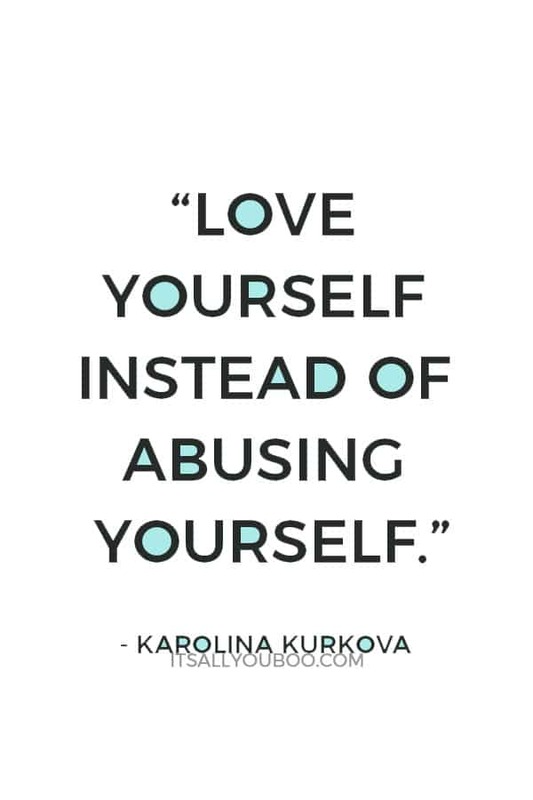 Start by loving yourself. Ready to try new things, leave your comfort zone and put yourself out there? Embrace all that you are. Want to manifest love in your life? Begin by falling madly in love with you. If you haven’t heard it in a while, or even at all, let me tell you (and please hear me when I say) that you are freaking fantastic! You’re wonderful, brilliant, beautiful and everything in between! Never forget that for a minute. 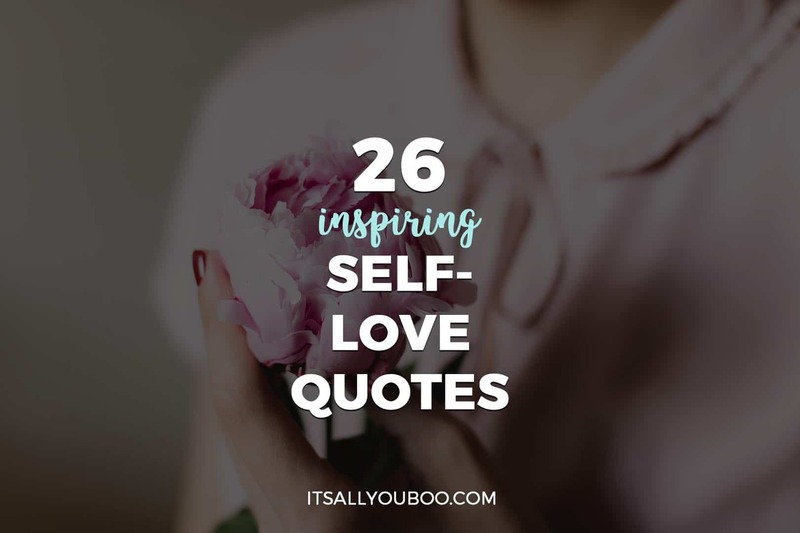 Here are 26 must-read self-love quotes and sayings to inspire your much-needed self-love life. Do you love yourself? Here’s the perfect test of your self-love. When you look at yourself in the mirror, what do you see? Do you see the eyes you love, the features you think are adorable, perhaps your hair you love to style, or do you see flaws you can’t stand looking at? Do you look away or do you gaze into your gorgeous eyes? Stop trying to change yourself, and start falling in love with who you are right now. The following self-love quotes encourage you to fall in love with you. Waiting for your epic love story? Popular culture would have you believe that to fall in love is the greatest love. But, that’s all fantasy, the strongest love starts with the love you have for yourself. To love yourself truly, wholly and unconditionally can change your life. It will mend broken places and strengthen every area of your life. This collection of self-love quotes speaks of the power of self-love. Do you love your life? To love yourself is to make time for doing what you love. Yes, your life may not be perfect, but it doesn’t have to be for you to show yourself kindness by giving yourself what you need. Some might call it self-care or scheduling alone time, others will call it self-compassion, whatever it is, you owe it to yourself to find that joy. The following self-love quotes inspire us to not just ask yourself daily what you need, but also give it to yourself. Yes, even if you’re busy! Do you hate yourself? Are you hurting yourself? We’re not just talking about things like self-harm and intentionally hurting yourself, we’re also talking about subtle ways like negative self-talk. Every time your subconscious mind thinks negatively about yourself, you are hating yourself. Every time you give into your fears and tell yourself you’re a loser and you can’t do it, you’re hurting yourself. 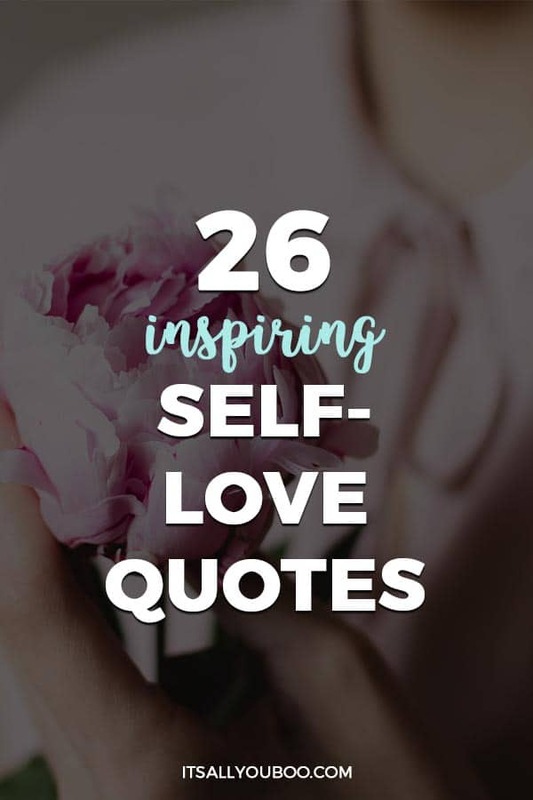 This collection of self-love quotes invites us to truly complete how we treat ourselves. Be gentle, you’re the only you, you have. 21. “The only person who can pull me down is myself, and I’m not going to let myself pull me down anymore.” – C. JoyBell C.
How do you talk to yourself? Are you loving and kind, or harsh and hurtful? The thoughts you have about yourself are stronger than what anyone else thinks about you. Want to be successful? Start telling that you are. Using positive affirmations and loving language you can have a healthy self-love life. 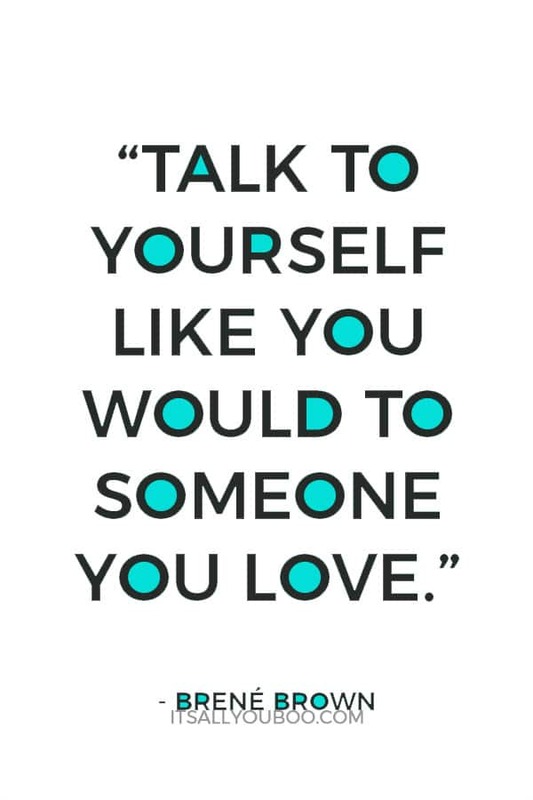 The following self-love quotes encourages us to talk to ourselves with love, to use loving self-talk. Don’t you just love these quotes? They are so perfect for sharing on social media. 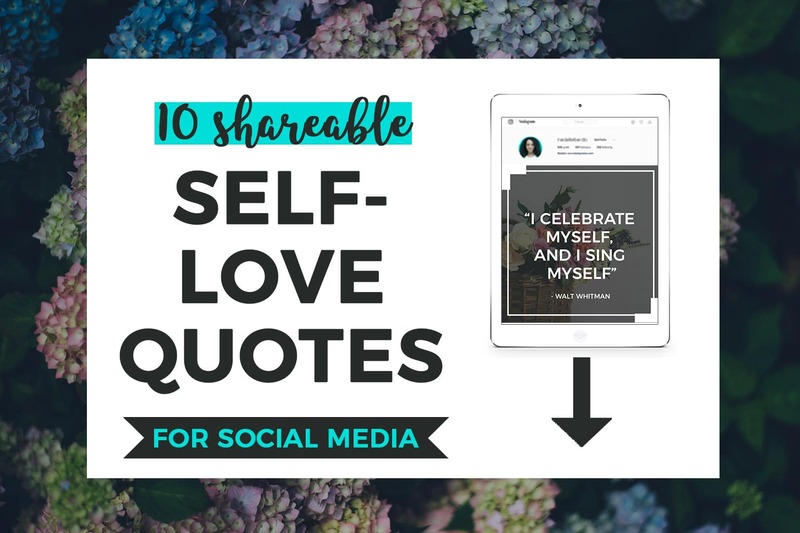 I’ve created 10 beautiful designed share-worthy, self-love quotes for social media. This download comes with high-resolution graphics formatted just right for Instagram (square) AND Facebook/Twitter (landscape). Sometimes we can be so hard ourselves, especially when we are just not where we want to be in life or something is taking a lot longer to come to pass. Please, take it easy on yourself! No one is perfect, not even you. But our imperfections are what make us who we are. Taking time for self-love is important! Be kind to yourself, we are all works in progress. Love your faults and your failures, your “imperfections” are your perfections. Speak lovingly to yourself, don’t forget to make time do what you love and fall madly in love with yourself. You are so worth loving! What’s your favorite self-love quote? What great affirmations of self-love! We are always are worst critics and sometines it takes practice to love ourselves. My pleasure, Jattu! I’m sure she’ll LOVE them. I love these quotes! Self love is so so important! Yay, so glad you LOVE them Emily! YES. THIS. So many good quotes here, but this is the one that resonates most with me! Isn’t it such an amazingly powerful quote! 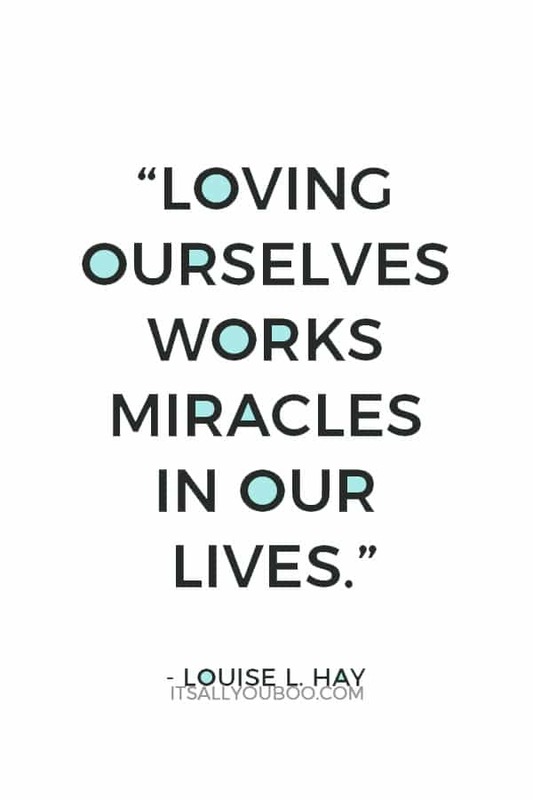 My favourite “side-effect” of self-love is just how powerful it is in changing our lives. Thank you so much for putting this list of amazing quotes together!! I think everyone could use a reminder every once in awhile to love themselves! These are so good. So good to speak positivity to ourselves! Such great affirmations! It’s always nice to have positive affirmations around. Thanks for sharing! My pleasure, so glad you enjoyed them Pla! I love Bryan Katie and Louise Hay – I’ve seen both of them in person and they are so calm and relaxed all the time – even when speaking to a large crowd. Aren’t they just the best! OMG, I cannot believe that you’ve seen them, I’m so jealous. My pleasure Sue, thanks for stopping by. Ya know, Nadalie, I’m not against self-love, I’m really not. I was raised and still believe that it’s not about me…and that’s how I live my life, and see too many I know focused on self and not on service. Now I’m not saying you think that way, because I think the example you set proves that…so I’m going to focus on another aspect of loving self here, and that comes from a personal spot in my own life. I was convinced for most of my upbringing that God hated me. When you love Jesus, God and everyone around you, it’s an odd and extremely painful place to be for a kid. To think your Savior loves you, but God only tolerates your existence…. Yeah…no clue how I got to that place. If you knew my parents, it makes it EXTRA confusing, because I had an awesome family and upbringing, but there you have it. Took meeting my wife, the most glorious woman I have ever met to this day…to learn that God loved me. I mean, how could someone like me…be loved by someone like Kathilynn, unless I was worth more than I believed? SO, I’m going to say that loving yourself is VERY important…CRITICAL even, when you have a worn down or skewed belief system. THAT, Nadalie, is probably a ‘perfect’ quote…IMHO. I adore you. Know that. They create good when they’re consumed…and I’ll keep shouting to folks that they need to get their backsides over here until I’m out of breath!! …then I’ll start holding up signs. Maybe sit along the freeway exits for you. 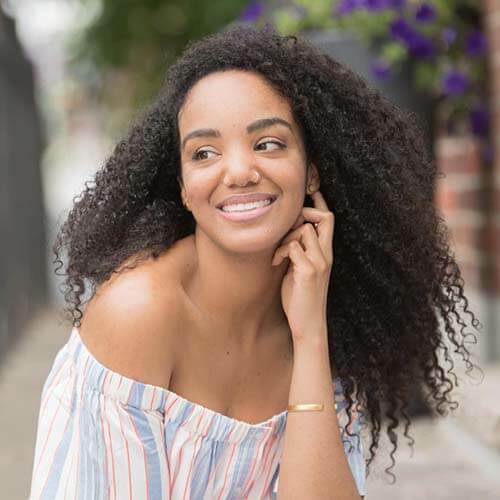 Thank you so much for sharing your self-love journey with me. If you hadn’t, I probably would never have in turn shared my own. My story is similar, but a lot of parts are in reverse. As odd as it may seem, I did not always love myself and was not always such a HUGE fan girl for self-love. It really wasn’t until I became a Christian and started being around all these people who taught me about the Father’s love. And a lot of scriptures and personal experiences really instilled that I am love and worthy of being loved in me. For example, “You are beautifully and wonderfully made” (Psalm 139:14). Before this I did not feel loved or worthy of love. Things I won’t get into here… but words like those above changed me. I’d never been told anything like this in my life. I started to value myself and just embrace myself. Sure it took me like 10 years from then to now, to start this blog and accept that I am made this way, to encourage others, with my writing. I think self-love needs more attention, because a lot of people don’t feel worthy until someone loves them. And that breaks my heart. My value is not tied or dependent on someone else loving me and seeing my awesomeness. To me, that’s an important message to share, because we live in a time where a lot of us are single and there is no shame in it. At least not for me. And I really do believe that if you don’t love you, you can’t love another, or what you do, or your life and so on. Anyhoo, I shall end here. Thank you so much for the love Jaime, as always I cherish your comments. Ahhhh, Nadalie, you have absolutely shown the way to do this, IMO….the perfect balance. Want you to know that I am SO grateful to have met you and even more so that we’re friends…you darling, wonderful little sister. You keep being you and I’ll keep bragging about you wherever I go =). Let’s team up with love & friendship and change the world. I’m gonna make a T-Shirt about this, too. UMM YES, it sounds like the best plan I’ve ever heard. The world will not know what hit them. & OMG YES, can we please make t-shirts! Nothing is ever official until t-shirts are made. haha! Me too! I’m sure you get this alllll the time (because you are awesome), but you are such a delight! I think the connections we forge in this program really make it special. I’m setting up a shirt shop and trying to get the code right for my blog….using the shirt service Sue recommended…so it’ll be very, very soon! Thanks for such inspiration. We all need this for the times that we forget. Love the quotes and the graphics. I blog about positive affirmations and self development/improvement so this is great to see. I’m oh so glad that you LOVE them. Woot, can’t wait to see you use them. Love all of this, especially 7 and 13. I think people feel guilty for thinking about themselves but there is a difference between what your teaching here and being selfish. Thanks for making it clear! What a great reminder of how important happiness is. Once we learn to love who we are, our inner peace will have a profound effect on others. If we talk to ourselves with love then we can’t help but talk to those around us the same way. It’s crazy how often some people forget about their happiness. Nothing is greater for our health and happiness than like you put it, our inner peace! I believe it. I’ve experienced it, it’s changed me. Aww, I love that. Here’s to smiling on the inside and out! I love the simplicity of these quotes. The message is so clear by sometimes so easily forgotten. Thank you, I’m going to use some of these! Thanks girl, so very happy that you love them. They are all so powerful, you read them once, they will echo through your mind for your entire life. #speakingfromexperience. I love Brené Brown!! I need to print some of these quotes out and stick them on my mirror haha. Isn’t that one just sooo good. I love that quote – to me it’s like chocolate cake. That’s a great idea! I like using window markers to write on my mirrors. A nice throwback to college days. I love this! I am all about loving yourself from the inside out. The freebie is also amaaaazing! Thanks for the inspiration. WOOT! No greater feeling than having someone say they love your post. These are beautiful. I particularly love Brene Brown (pretty much everything she writes). I am convinced that Brene has some of the BEST quotes ever. Each is soooo deep, yet simple at the same time. She just makes profound sense. It’s so beautiful. Isn’t that the best feeling. Two of the best quotes right there. Brene Brown, nothing put magic from her words. hehe – ya know I had to add a few surprising ones in here. Love these quotes! I agree it is important to love yourself. If you can’t love yourself then how can you expect others to love you? This is awesome Nadalie! Just found your blog and am loving it! So happy that you found my post at the right time. These were such amazing quotes! I will definitely be saving them 🙂 Thank you so much for sharing these with us. It’s always nice to be reminded to have self-love… Your blog is stunning by the way! Aren’t they just fabulous? I said to myself when I was writing this post, that every single one had to give me an amazing feeling when I read it. I’m so glad that that comes across. This is wonderful. I am definitely sharing. From time to time, everyone needs a bit of a reminder to love themselves. Awe I love these quotes! So powerful! WOOT! Happy you love them! I love these! I just wrote a similar post, and it just shows how many different quotes there are, that we only overlapped one. I love the idea of the downloadable printables. There are sooo many. I think I cut down my list of 200+ that I found into these 26. I tried to choose some less popular, yet still powerful ones. Glad you love them, happy sharing! These are some lovely quotes. I’ve pinned the article to my Pinterest for others to get some inspiration. Thanks for sharing these. I am definitely my own worst critic and have set my own positive affirmations for the year. These are some great additions. Thanks for sharing. These are great! Self-love is so important and yet it can be so hard to do. Isn’t that the truth. It’s one of the hardest habits to adopt. I say habit because you have to keep doing it. Wake up every day and choose to love yourself. Thanks for your comment Aurora! Love the quotes you provided! 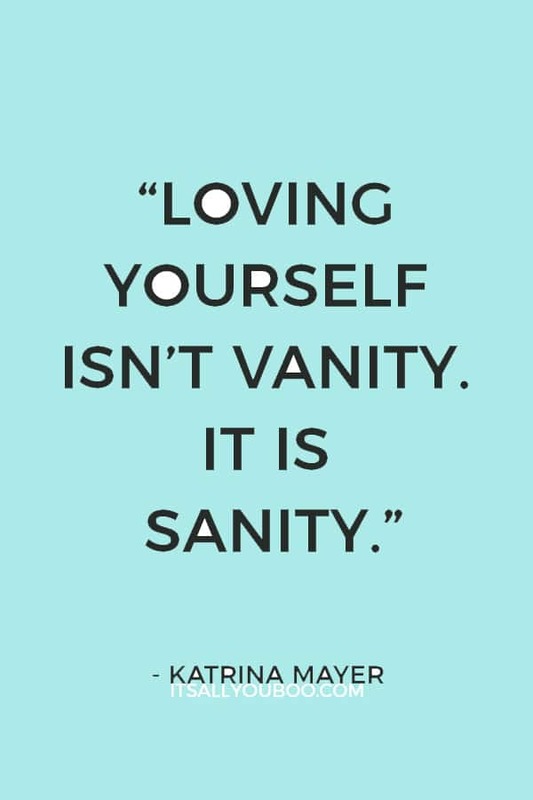 A lot of people need to know that there is nothing wrong with loving yourself! There certainly isn’t! There’s nothing more natural, yet somehow society makes it seem not so important. Thanks Kerona for the blog love! Just do it. You never know if anyone will be interested if you don’t try. I just figured it’d be a good way to share the self-love. All of these are beautiful quotes. I especially love the graphics you made for some of them! Isn’t t just fantastic! One of my favourites too. Gives me chills. The world is changing all the time. Even if you do nothing you will change by default as the world turns. There is no escape from this. self love is the best form of love.